A Dark & Stormy rum cocktail with lime and ginger beer. Sales of rum are on the rise, and so, too, are the interests of savvy bar and restaurant operators. According to the Distilled Spirits Council of the United States (DISCUS), overall sales of rum in the U.S. have been on the upswing for years, growing from 18.5 million liters in 2002 to 24.8 million liters in 2015. In 2017, sales of rum in the United States generated over $2.3 billion in revenue for distillers. That’s some serious sugar tooth. Beverage directors and bartenders around the country are not only seeing growing sales, but also consumer knowledge of rum increasing, allowing them to get creative and increase profitability. 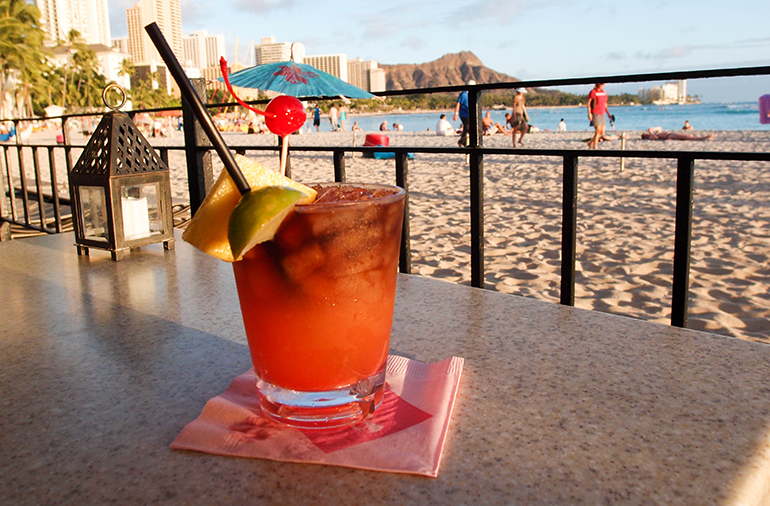 Mai Tais are among rum cocktails riding the wave of tiki popularity. Even the definition of rum is broad, and can essentially change from country to country. Whether it’s distilled from molasses, sugar cane juice or other cane by-products, what ends up in the bottle has the ability to shock and surprise, giving creative operators a chance to make a memorable mark on guests. In Seattle, Chris Elford finds himself captivated by the wide variety of rums available today. He and his wife, Anu Elford, operate Navy Strength, a bar and restaurant concept that features classic tiki drinks, as well as modern tropical explorations. “Rum can function as everything,” Chris Elford said. “Whether it be vodka-like, column-stilled light Puerto Rican rums, or crazy, ester-y Mexican charanda, which is grassy and almost gin-like, to whiskey-like Jamaican expressions that are rich and velvety, to multi-island blends that any cognac drinker would enjoy.” That variety allows him and his staff to take guests on wild explorations. Fine-dining restaurant bar programs have also embraced the rum craze. Guests perceptions have changed, too, Teague said. Rum has moved past its rum and cola image into tiki bars and food pairings. 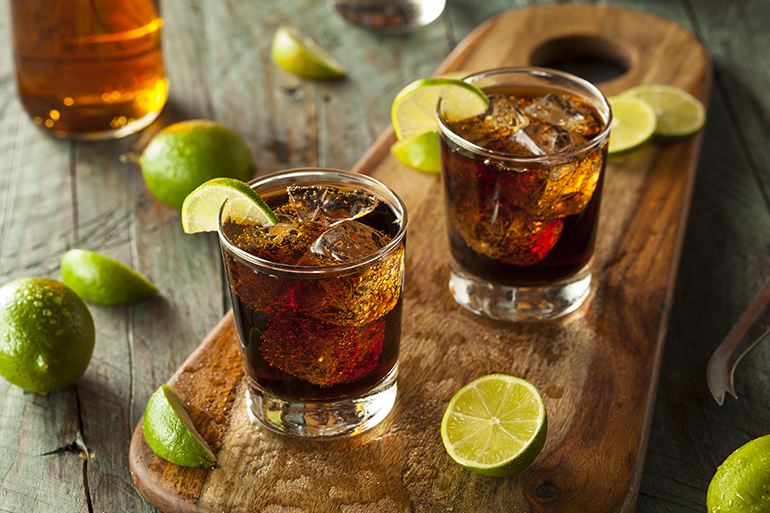 “Rum has shaken off its college-fueled ‘rum and diet [cola]’ persona and come into its own,” he said. Between the three outlets his company operates in the same building, including a Polynesian-inspired tiki bar and a rum-driven punch bowl bar, they offer more than 200 different brands of rum. Although not as popular as vodka or whiskey, rum’s star is rising, he said. At Hearth, Wright finds that the inclusion of rum in her house cocktail program can also drive profits, particularly when using the unaged or younger rums. But she said more high-quality, smaller production aged rums also are available at affordable prices. Rum cocktails can also be excellent pairings for many cuisines. Before the Revolutionary War, rum was the king of Colonial America. According to the Colonial Williamsburg Journal, by 1770, the colonies had more than 140 rum distilleries, producing nearly 5 million gallons annually, all of which was built on what was once known as “sweet salt,” or, as we call it now, sugar. Rum drinkers can raise a glass of appreciation to Christopher Columbus, as it was he who brought sugarcane to the Caribbean. It quickly became a staple crop throughout the region, providing Europe, and eventually the Americas, with refined sugar – while simultaneously fueling the African slave trade, it bears noting. And for molasses, once a useless byproduct from sugar refining, some intrepid soul found that it was possible to add water and yeast, ferment it, then distill it, leading to the first rums. The rest is history. Back to the modern world at Hearth, Wright has found serious traction with creative rum pairings. “We’ve put together a dark chocolate board the way other restaurants do a cheese board, with five of the best examples of single-origin, domestic-made dark chocolate on the market. We love pairing it with an aged, caramelized rum as it brings out the caramel tones in the chocolate,” she said. David Flaherty has more than 20 years experience in the hospitality industry. He is a certified specialist of wine, a certified cicerone and a former operations manager and beer and spirits director for Hearth restaurant and the Terroir wine bars in New York City. He is currently marketing director for the Washington State Wine Commission and writes about wine, beer and spirits in his blog, Grapes and Grains.